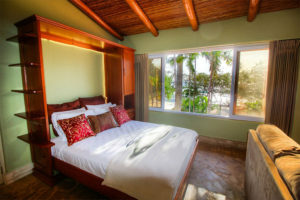 Casa de Luz offers great flexibility in sleeping arrangements, easily accommodating 12-24 guests or more with cots. 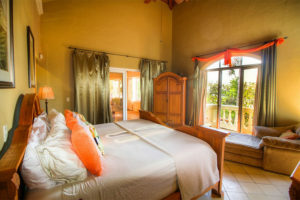 Our beach villa rental offers 8 total sleeping rooms, 7 of which face the beach with queen or larger beds including 4 luxurious suites and the pool casita. 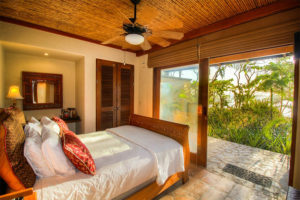 We don’t believe any of the other beach villa rentals in Tamarindo enable more guests to awaken to the sound of the ocean waves. 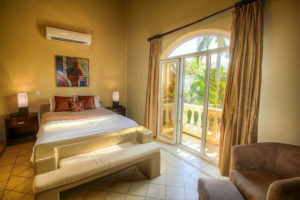 The Casa de Luz beach villa rental is ideal for 6-8 couples or executives, and 2 of the queen rooms include bunks or hideaway beds to also make it ideal for 6 couples plus 11 kids. 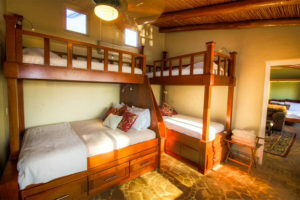 Additional cots may also be brought in for kids. If you provide your group details, we’ll help you plan how to maximize everyone’s privacy and pleasure. 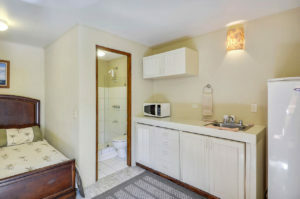 In case additional sleeping accommodations are necessary for children, cots can be delivered at a nominal nightly fee and set up in various locations, including a utility room by the garage. 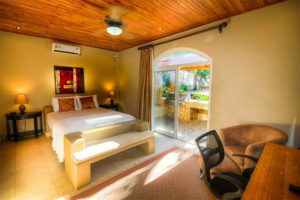 For adult overflow, we can arrange rooms at the 5-star B&B next door, or book the entire B&B to sleep up to 36+ total. 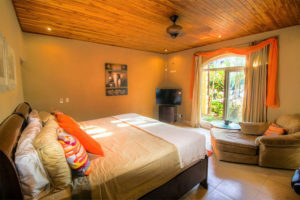 No matter how large your group, we want you to have the ultimate and most enjoyable stay at our beach villa rental, Casa de Luz.